Octet expansion and hypervalence in dimethylidyne-λ6-sulfane. I’ve started so I’ll finish. Mechanism and kinetic isotope effects for protiodecarboxylation of indoles. Another mechanistic study we started in 1972 is here 40+ years on subjected to quantum mechanical scrutiny. I’ve started so I’ll finish. The mechanism of diazo coupling to indoles – forty (three) years on! I’ve started so I’ll finish. 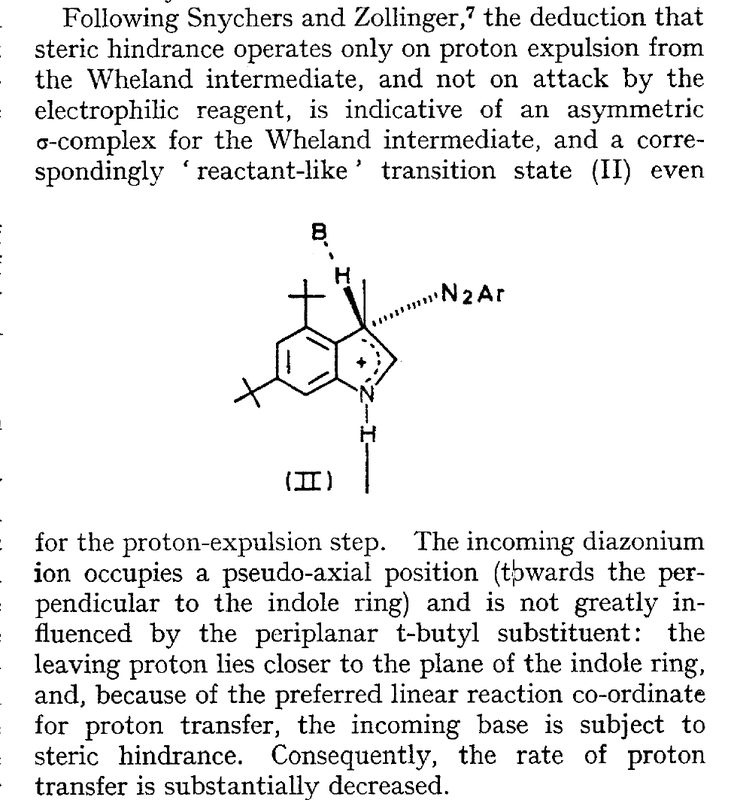 The mechanism of diazo coupling to indoles – forty (three) years on! is licensed by Henry Rzepa under a Creative Commons Attribution-Noncommercial-Share Alike 3.0 United States License.